Today, we learned of the passing of Rick Dickinson. Not a name many folk may recognise, but if you were growing up in the 1980’s, you probably had a piece of his design in your home. Rick designed the cases for Sinclair’s computers. 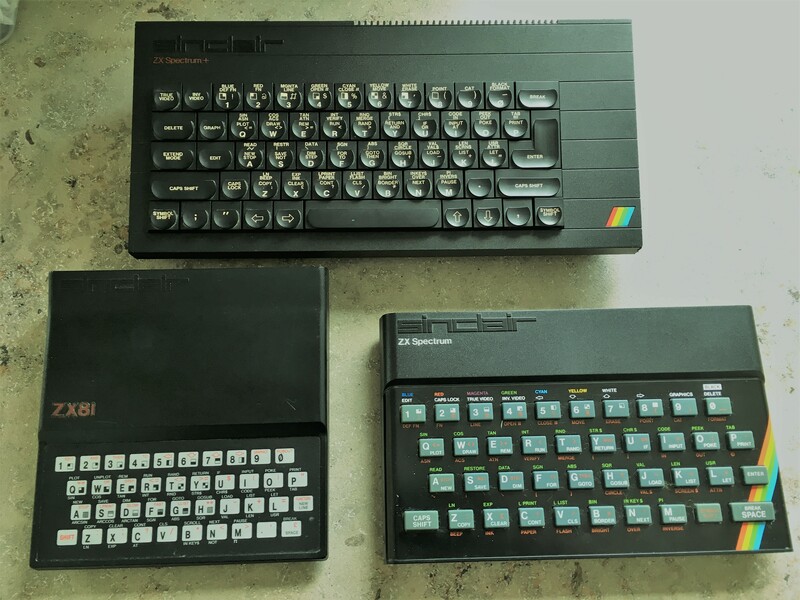 The ZX-80, ZX-81 (for which he won a design award), and the absolutely legendary ZX Spectrum. The picture shows my collection, and they’re still iconic symbols of the decade. Functional, yet aesthetically pleasing. The Spectrum in particular had a big impact on my own life, and indeed my current art degree work features the computer as a key part of the project I’m doing. The case is the bit people recognise. It might not be the important technical stuff that does the work, but it’s how people interact with the thing, and that’s why it’s so important. Rick got these bits done perfectly. That rubber keyboard (indeed, the lack of keyboard on the ZX80 and ZX81) was criticised heavily at the time, but it worked, it fulfilled the design brief, and it looked good. That’s the job of a designer. That’s why Rick is such a big deal. Rick recently designed the case for the upcoming ZX Spectrum Next, due to be completed and posted out in July. It’s a shame he never saw the finished case, because it looks like another beauty. Thanks, Rick. Thanks for the memories. Rest in peace. This entry was posted in computer and tagged 1980s, vintage computing, zx spectrum, zx spectrum next, zx81. Bookmark the permalink.